The development of structural changes in the systemic vasculature is the end result of established hypertension. Indeed, in essential hypertension, small arteries smooth muscle cell are restructured around a smaller lumen and no net growth of the vascular wall is present, while in some secondary forms of hypertension, as well as in non-insulin-dependent diabetes mellitus, a hypertrophic remodelling of subcutaneous small arteries may be detected. Indices of small resistance artery structure, such as the tunica media to internal lumen ratio, may have a strong prognostic significance in hypertensive and diabetic patients, over and above all other known cardiovascular risk factors. In addition, in both pathological conditions, capillary rarefaction may be observed. So, the presence of morphological alteration in the microvasculature may be associated to an impaired tissue perfusion and/or to the development of target organ damage. Therefore, regression of vascular alterations is an appealing goal of antihypertensive treatment. Different antihypertensive drugs seem to have different effect on vascular structure. 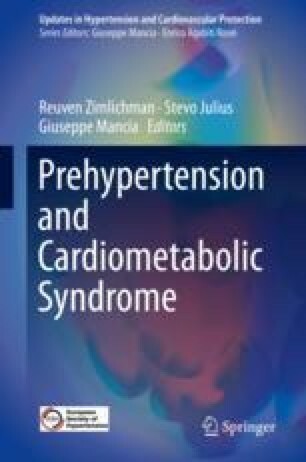 In hypertensive and in diabetic patients a significant regression of structural alterations of small resistance arteries and an increase in capillary density was observed with drugs blocking the renin-angiotensin system as well as with calcium entry blockers. In conclusion, alterations in the microcirculation represent a common pathological finding, and microangiopathy is one of the most important mechanisms involved in the development of organ damage as well as of clinical events in patients with hypertension and diabetes mellitus. Renin-angiotensin system blockade seems to be particularly effective in inducing a prevention/regression of microvascular structural alterations.